Ideally, when you put your home on the market, you want someone to make a firm offer. That means the buyer offers you a certain price and you decide whether to accept it, reject it, or make a counter-offer. That can be a tough decision to make. But what happens if a buyer makes you a conditional offer? For example, an offer that’s conditional on him selling his own property for a certain price? Now things have gotten really complicated! How quickly your home sells can depend on several different factors. We will discuss this in more depth in another post. For now, let’s use two different scenarios that can often have the same results: Either your home is in an area that isn’t often sought by Buyers or the winter months of the year. Both of these situations can prove challenging to a Seller. 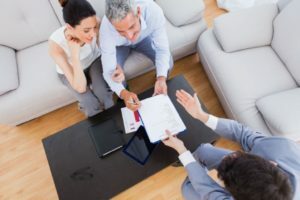 When an offer is presented to you with conditions, you might be willing to accept it quickly since your home has sat on the market for several weeks. I hope this hasn’t happened to you. If it has, make sure you re-evaluate your goals and your current situation before making a decision. Can you be patient? Should you reduce the price? Have you already put an offer on a new home? If you make an offer on a home with conditions, your offer is less attractive to Sellers. Let’s suppose you make an offer with the condition that your home must sell. The Sellers of the home you made an offer on may not be willing to accept that. They’ll have to evaluate the current market conditions (fast or slow selling), the season (summer vs. winter), etc. An experienced Broker can help coach you through this process. If you accept a conditional offer, remember that your home will off of the market for that duration. It’s not recommended that you allow the contingency period to last for very long. Navigating this situation can be stressful, but it doesn’t have to be. Contact a Broker to help guide you!